CentrikBlogsBusiness AdvisoryRERA ConsultingWill The Unhappy Home Buyer Return To Under-Construction Properties? 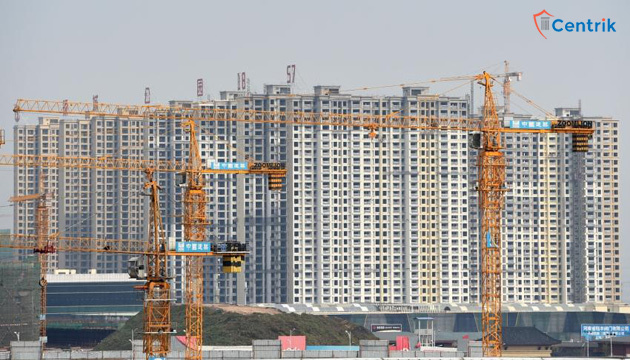 The government is undertaking efforts to establish homebuyers’ confidence for committing to under-construction homes by encouraging states to implement RERA, which would protect the buyer’s interests. Amongst all the states, Maharashtra is the first one to apply RERA by notifying the Act, establishing an authority and setting in place a functional portal, which has been addressing to complaints of every stakeholder. This has instilled valor among homebuyers who have promptly came forward with their grievances; most of which are regarding delay in possession of the flat and the buyers were not content with the changed deadline of the project stated on the RERA website. Few cases were related to incorrect or incomplete information of the project on the RERA website, while a single case was about parking issue. Out of the 60 grievances, the developer filed 1 complaint, rest all were filed by buyers. Main grievances filed by the buyers were with regards to the revised deadline mentioned on the RERA website, which was distinct than what was declared in the agreement and the buyers wanted recompense for the postponement or refund of booking amount. In those cases, the professionals brought about a compromise between the buyers and developers by asking the developers to expedite their date of completion much prior the one they have professed on the portal, not fulfilling which, they would be liable to pay interest to the buyers till possession is given. The authority also engaged developers to repay the money paid by the buyer, with interest in several cases where compromise was impossible. A confederation of buyers in a project had disputes relating to suspension in possession due to the sluggish pace of construction only of that specific wing, the authority noticed that the developer would not be able to complete that specific wing in the complex on time, therefore it pointed the developer to acclimate the buyers into the other two wings in the same compound, which were developing at a much better pace and asked the developer to charge nothing for floor rise if the movement is within four floors of the originally allotted floor. In another case, the purchasers briefed the authority that the developer has not updated the entire information with regards to the number of flats in the project that were promised to an NBFC and the developer was not forming the society despite trading more than 51 percent of the total number of flats in the society. The developer was given instructions to declare the entire information of the project and also form the society. A home purchaser specified that they have got information from additional sources that there are problems in obtaining regulatory approvals for that project and therefore, the purchaser applied for annulment of the booking in December 2016; but the developer conveyed to the buyer that they are waiting for those approvals from regulators and because the amount of booking paid was less than 20%, they would have to surrender it as per the terms and conditions agreed upon. The authority went through the approvals and discovered that when the buyer applied for cancellation of booking, there were problems relating to the clarity on regulatory approvals; hence, the developer cannot quote terms and conditions that were signed at the time booking and must repay the buyer’s money. The Maharashtra government is going in the right direction by incorporating in an effectual regulator who has begun delivering on its intent. The regulator has been inculcating an unprecedented change in the approach to real estate developers towards consumers and the developers are being made accountable for dispensing what has been promised, for the very first time. We hope that the other regulators and states would also take action in this direction to deliver assurance to homebuyers. At present, the purchasers favor to buy ready-to-move properties in spite having to pay a huge premium as compared to under-construction properties. We believe that such decisions by the RERA authorities throughout states where consumers are getting some degree of assurance of regulatory oversight in case of wrongdoing by developers would go a long way in refining the buyer sentiments. In long term, it can regain the confidence of buyers for investing in an under-construction property.